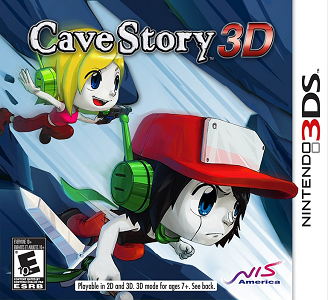 Cave Story 3D, known as "Doukutsu Monogatari 3D" in Japan, is a metroidvania platform-adventure video game developed by Nicalis and published by NIS America, and a 3D remake of Cave Story. It features updated 3D graphics, 3 game modes, and remastered music. Cave Story 3D work great in Citra. The graphics and audio are perfect, and the game performs well even on lower-end hardware.